On the 27th September our Marine Lighting expert, Claudio Zimarino, will be proudly cycling alongside Winch Design in the last leg of the ten-day London to Monaco cycle ride. Commencing in London and ending at the Prince’s Palace in Monaco, the cycle is hosted by top yacht designers, Winch Design, in a bid to raise £500,000 in aid of their long term corporate partner, the Blue Marine Foundation. 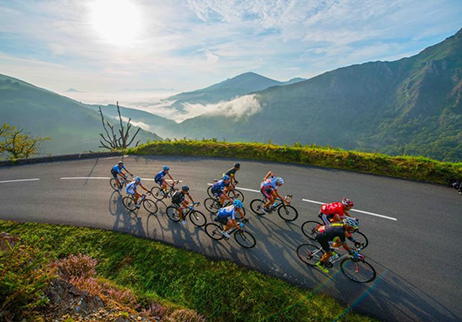 Spanning over three countries, this will be the first London to Monaco cycle for charity and promises to be a highly rewarding challenge for all involved. The cycle will consist of ten stages carried out over four different chapters, these being London to Folkestone, St Omer to Dijon, Dijon to Gap and Gap to Monaco, arriving in time for the Monaco Yacht Show on the 27th September. The cycle will be made up of forty cyclists, all from the world of superyachts and ocean conservation. Funds raised by the cyclists will go to the Blue Marine Foundation, a charity working to solve the crisis of overfishing by creating marine reserves. The Blue Marine Foundation are aiming to have 10% of the world’s oceans put under protection by 2020 and 30% by 2030. “I have spent the past three months in the saddle training and fundraising for this epic ride, which I am really looking forward to. The group effort has been amazing and we all feel ready to take the challenge on to save our oceans. We will be setting off from the iconic Tower of London early on the morning of Sunday 18 September and I would love it if you were able to make it down to show your support and wish us good luck. Simon and Yasmin Le Bon will be in attendance as BLUE’s ambassadors to wave us off on our adventure ahead! It really will make a difference having a crowd of people at the start. If you are able to make it, please arrive at the East Gate entrance of The Tower of London for 7:15am. The nearest tube station is Tower Hill on the Circle and District line or Tower Gateway on the DLR. There will be a gourmet food van selling bacon rolls and soft drinks and also a photo opportunity which we’d love you to be involved in. For more details, or to follow the full route, see here or contact Claudio Zimarino.